Metallica is set to tour North America from fall 2018 into 2019! Purchase your Metallica tickets at Ticket Galaxy for their WorldWired Arena Tour! Established in 1981 in Los Angeles, California, Metallica is an American heavy metal band who has a strong history of success in the music industry. With more than 110 million record sales Metallica is deemed one of the most influential metal bands in history. The band was formed by drummer Lars Ulrich and lead vocalist and guitarist James Hetfield. Currently, the band also includes Kirk Hammett and Robert Trujillo. Their debut album 'Kill 'Em All' dropped in 1983. The '80s included 'Master of Puppets' and more classic hits from the popular heavy metal band. 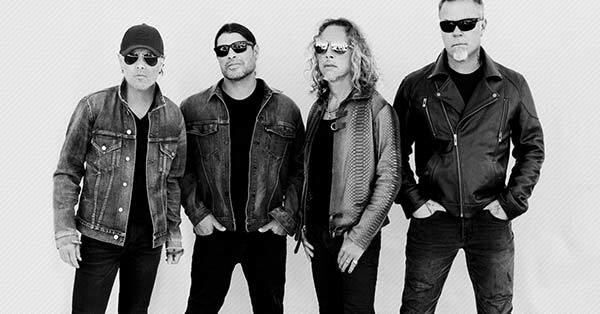 Metallica has continued to release music throughout the '90s and 2000s. Most recently, 'Hardwired... to Self-Destruct' was released in 2016. The band toured in support of the album and is back for another "WorldWired Tour" run in arenas across the world! Get your Metallica tickets from Ticket Galaxy, and never miss a moment.